"In recognition of this, his steadfast resolution, we honor him as commander of Noble." Commander Carter-A259 was a SPARTAN-III commando of the UNSC Naval Special Warfare Command, attached to the UNSC Army's Special Warfare Group Three. Carter was the leader of NOBLE Team, an elite team of Spartans who fought during the Fall of Reach. His call sign in the team was Noble One. A 16-year-old Carter immediately prior to undergoing augmentation on the UNSC Hopeful. Carter was born in Durban, Biko on August 27, 2520. His parents were killed when Biko was attacked and glassed by the Covenant in 2526, though he survived the planet's fall. Before he could join the rest of the planet's refugee program, Carter was conscripted into the Spartan-III program's Alpha Company in 2531. From early on, he stood out from the rest of the group, and LCDR Kurt Ambrose and SCPO Franklin Mendez, taking note of his exceptional skill, deemed him too valuable to be wasted on suicide missions. Upon his graduation in 2536, Carter was assigned to lead a special fireteam composed of Spartans similarly extracted from Alpha Company's mainline population. Carter's team was subsequently transferred under UNICOM's operational authority as part of an arrangement to secure Army support for the SPARTAN-III program within HIGHCOM. Later, after the special forces unit Noble Team was formed, Carter became the leader of the team, which then consisted of Kat-B320 and several other Spartans. While only Kat and Carter would survive as the remaining members of the original team by 2552, Carter had earned the loyalty of his teammates by leading them out of enough difficult situations. Carter assassinates a Sangheili Ultra during the Battle of Fumirole. During the Battle of Fumirole on April 22, 2552, Carter led Noble Team in an operation put together by Kat to destroy a CCS-class battlecruiser maintaining position above a city. The operation was successful, but at the cost of Thom-A293. Both Carter and Kat took responsibility over the death of Thom, unable to admit that the death of the SPARTAN was his own fault. Thom was replaced on Noble Team by SPARTAN-B312 a few months later, just prior to the Fall of Reach. 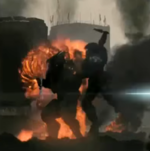 Throughout the course of the Fall of Reach, Carter led Noble Team in multiple operations against Covenant forces, such as the investigation of a communications blackout at the Visegrad Relay, a mission which led to the first confrontation with Covenant forces on the planet, the counter-offensive operation on Sword Base, and a large-scale UNSC assault on a Covenant-occupied site and the neutralization of a Covenant tower. The destruction of the UNSC Grafton by the Covenant supercarrier Long Night of Solace after the Battle of Viery prompted Carter and Kat to review the situation. Recognizing the presence of the supercarrier as a large threat, Noble Team decided to utilize a "non-existent" space vessel and launch a makeshift slipspace bomb at the Covenant vessel. Carter, along with Kat-B320, Jorge-052 and Noble Six, helped UNSC ground forces repel Covenant invaders from a UNSC base, which housed the Sabre launch facility. Noble Team was separated at this point, with Jorge and Six participating in Operation: UPPER CUT with the rest focusing on the groundside. On August 23, Carter and the remaining members of Noble Team assisted the UNSC in protecting the planet's civilian population from the Covenant. They reunited with Noble Six in New Alexandria and helped in the neutralization of Covenant jammers and evacuation of ONI personnel from the ONI HQ. Not too long after, Noble Team was hailed by its commanding officer and was ordered to destroy Sword Base. The team was forced to enter a radiation bunker to shield themselves from the Covenant's glassing of New Alexandria. However, Kat was killed en route to the bunker by a Covenant sniper. Carter rams his Pelican into a Scarab. Carter, along with the remaining members of Noble Team, proceeded to Sword Base and fought their way into the facility, only to have their directives revised by an unknown UNSC AI. In the facility, they encountered Dr. Halsey once more. Noble Six was urged by the science officer to become the courier of a package and to deliver it safely to the UNSC Pillar of Autumn. Using Pelicans as their mode of transportation, Noble Team was split into two; Jun-A266 escorted Dr. Halsey to CASTLE Base while the others headed for the Autumn. "Six...that AI chose you. She made the right choice." — Carter's final words to Noble Six. Sometime during the transport of the package to the Autumn, Carter was gravely injured in the Pelican, most likely due to his head hitting the front windshield and causing massive internal damage. Knowing that the delivery of the package was of the highest priority, he ordered Noble Six and Emile-A239 to drop out of the Pelican and proceed by ground while he diverted the Covenant aerial forces' attention. During the journey groundside, the two SPARTANs encountered a Scarab blocking their path. Carter, still in the Pelican, sacrificed his life by ramming into the behemoth, allowing the two SPARTANs to accomplish their objective. His final orders were, "You're on your own, Noble. Carter out." "Spartans never die, Jorge, they're just missing in action." Carter is described as charismatic and reassuring, as well as a born leader, inspiring confidence in those under his command. He is said to be cool under pressure, with laser-like focus, even while maintaining adaptability and flexibility. Carter is also noted as being capable of interacting with non-SPARTAN personnel effectively and efficiently with low-to-no expected stress issues, and was said to be at his best while building a team. As a result, he was given considerable freedom by his superiors in picking replacement personnel for his team; an exception to this was when Colonel Holland personally selected SPARTAN-B312 as a replacement for Thom-A293 after the latter's death in the Battle of Fumirole. As team commander, his defining trait is his desire to bring his people back alive, but he knows the challenge of losing members of his command. However, he was said to have "minor trust issues" due to the death of Thom-A293 under his command; Carter attributed S-A293's death to his own "inadequate team preparation" while it was evidently due to enemy action or Thom-A293's own lapse in situational awareness. Carrying the guilt over Thom's death may have also been the source of Carter's hesitation to commit to one of the replacements. Despite this, Carter grew to trust Noble Six and even informed his subordinate that Cortana had made the right choice by picking him. Carter wore a MJOLNIR Mark V Commando helmet and an Assault/Commando chest piece. He wore a Commando shoulder piece for his left shoulder and a Mk. V shoulder piece for his right shoulder. Carter also had a Tactical/Tacpad wrist piece on his left wrist and FJ/PARA knees guards. Check out our collection of quotes related to Carter-A259 in its quotes page. Carter was voiced by Freddy Bosche. 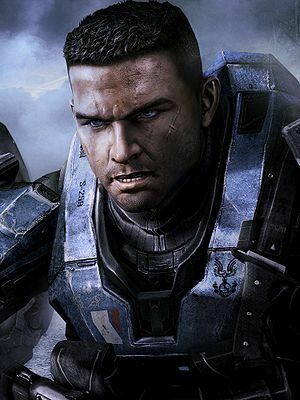 As a commander, Carter was one of the highest-ranked SPARTANs. Carter's date of birth made him one of the oldest SPARTAN-IIIs. The majority of the trainees for Alpha Company were four, five, and six years old when the project began in 2531; Carter would have been eleven at that time, making him nearly as old when he was conscripted as most other Alpha Company members were when they graduated from the program. Given his rather extreme deviation from the otherwise consistent age range as well as the risk of complications in the augmentation procedures for those outside the ideal age group, it is possible that Carter had spent considerable time in cryosleep prior to his induction to the program; as individuals effectively do not age in cryo, Carter's biological age may have been closer to the SPARTAN-III standard than his chronological age. Carter's voice is available for use in Firefight. At 100,000 CR, Carter has the most expensive Firefight voice of all Noble Team members. In the Halo: Reach Video Games Awards trailer, Carter had a shaved head and a lighter skin tone. In the final version of the game, his hair is styled in a high-and-tight cut and his skin is noticeably darker. Carter's helmet is available as an avatar award. It is obtained by clearing a campaign mission on the Legendary difficulty without dying. Carter is the only member of Noble Team who does not work as part of a duo with Noble Six at some point in the Campaign. Carter's SPARTAN tag, A259, may be a reference to the element Nobelium. Nobelium has a standard atomic mass of 259 and is linguistically similar to Noble. During the Halo: Reach Legendary Edition developer commentary, Lee Wilson jokes that Carter was upset by Kat's death because "She was cute." Martin O'Donnell responds, "We know there was some relationship between Carter and Kat at some point." Early concept art of Carter's face. Concept art of Carter's Commando helmet. Carter in his MJOLNIR armor. Carter in his MJOLNIR Powered Assault Armor/K variant. Carter looking at a Holo-Still of his parents before undergoing the augmentation. Carter facing a prototype of his MJOLNIR armor. An older render of Carter-A259 from the Video Games Awards trailer. An updated render of Carter. Carter with Noble Six and Jun-A266 on board a Falcon. Carter in a Falcon, looking at a Covenant corvette. Carter from A Spartan Will Rise ViDoc.